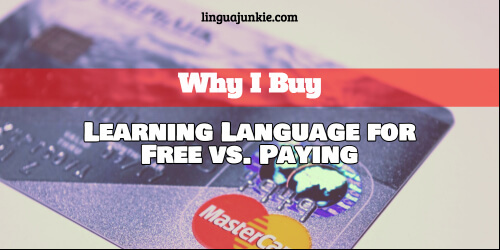 October 16, 2016 by The Junkie 0 comments on "Why I Buy: Learning Language for Free vs. Paying"
1 It’s about learning language for free. 1.2 “If It Was Free, It’d Be Good” Notion in this Article. 2 Now, onto “It’s Bad Because It’s Paid”. 2.1 Free Vs. Paid? Should This Debate Even Happen? 3 So, Why Do I Buy Educational Products? 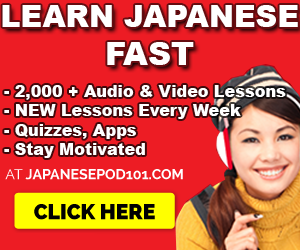 It’s about learning language for free. I guess your homemade lunch and all of its ingredients were “free” too. “If It Was Free, It’d Be Good” Notion in this Article. But first let’s set the record straight on “information should be free” and “how dare you attack my desire to learn for free.” I’m not attacking that. If you can, you should. There’s tons of free language learning apps out there including one very famous one – Duolingo. Now, onto “It’s Bad Because It’s Paid”. 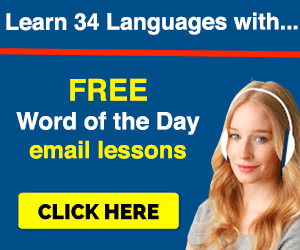 That’s an odd way to judge a language learning tool. Why? Is money the deciding factor in how you judge things as good or bad? So, is it bad that you pay for groceries? New jeans? New shoes? Netflix? A book that you enjoy? Is it bad that your boss has to pay you for the time you put in at work? So, is paying for a product that brings you value a bad thing? If money is your deciding point and you’re in a first world country and have an extra buck to buy coffee… oh boy, that’s an odd perspective to have. Now, if you’re from a third world country, I’d understand. Point is, it’s a poor judge of how valuable a resource is. I’m not going to argue whether “paid” material is superior than “free.” We’d be straying away from the bigger picture. What’s the bigger picture? Keep reading. Free Vs. Paid? Should This Debate Even Happen? No. This is a debate brought up by cheapos focusing on the wrong thing. They’re focusing on paying money versus not. But, this topic gets a lot of attention. Money is always a red-hot issue and gets emotional responses. In language learning, your primary focus is learning the language. Not its price, right? So, the question you should ask is… does this resource give me value? And better yet, ask yourself this – have I honestly looked for value in this? And with VALUE: half of the battle depends on the effort YOU put in. If you’re in a class, with a real native speaker/teacher, and complaining that classes don’t help – you’re definitely not using the teacher to your advantage. If you bought a 200 page textbook and decided it’s “bad for learning” because it’s “boring,” you’re clearly not using it for its value. Come talk when you pushed yourself through all 200 pages looking for all the things you don’t know yet. If you never bought (insert-some-paid-learning-program) because you read someone else’s opinion but never tried it for yourself… you can’t honestly say it’s “bad.” For all you know, they didn’t try to pull value out of it. You’re not looking for value, you’re complaining. Get the hell out of the language learning community. So, no, this debate shouldn’t happen. It’s framed to make “paid” out to be an enemy. A red herring. Unrelated to learning a language. The bigger picture is value – whether with free or paid resources. So, Why Do I Buy Educational Products? People don’t put money where their mouth is. People put out money to where their true desires are. Show me a person’s spending habits and I’ll show you their priorities. And you have people with priorities like smoking and drinking. Maybe that’s not you. But they all have been justified with a – “well, I enjoy it…. and that’s what’s most important.” I’m sure you have some enjoyable expenses of your own. Oh, but you don’t pay for language learning? Where am I going with this? I’m tying it into why I, despite not being rich, famous and handsome, buy educational products. Why do I buy? For value and benefit. I value time over money. If something helps me learn faster than me scrambling to figure it for myself… let’s go. If this purchase allows me to spend time meaningfully in something I’m interested, let’s go. I look for value. Don’t worry. I’ve bought crappy books. Shoddy PDFs. Video guides on Google Analytics, website setup and marketing… and even if they cover everything I know, I make sure that I dig thoroughly to pull out value. How? I take action based on what I hear. That’s the next point. I look for what I can take action on and get results. Here’s the thing with people. They buy a book. They expect that by reading, and the magic of osmosis, they’ll be a brand new person. They don’t take action (because it’s uncomfortable), nothing happens and then they call it a waste. Now, If there are ideas that I can take action on… and see results of profit, then hell, that purchase was well worth it. Here, take a look at what I buy. And no, this is not for the purpose of “showing off” how smart I am. I’m far, faaaaar from that. Just a preview of where my desires are. And look, I do research before throwing my money at things. I’m not saying to throw your money away. Yes, please research first. I’m just saying that your wallet points to where your true necessities are. If you’re not paying with money, you’re still paying with time. And “time is what life is made up of.” Cliche but true. Maybe a paid resource will get you the results faster. Maybe it won’t. People like to argue that paid resources will help you faster. A teacher will definitely help you progress faster than my site. But the same argument can be placed upon free things. Maybe they’ll help you, maybe they won’t. A lot of what you get, as mentioned above, depends on the effort you put in. It’s on you. So a good question then is – do you value your money over your time? One of these things you can lose and get back, the other – you can’t. Whichever way you look at it, you’re still paying for it. How you choose to approach language learning – depends on what you value. 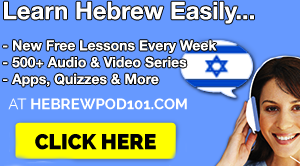 Yes, there are GREAT free and paid language learning sites, apps and products. And, I bet there are terrible ones out there, too. 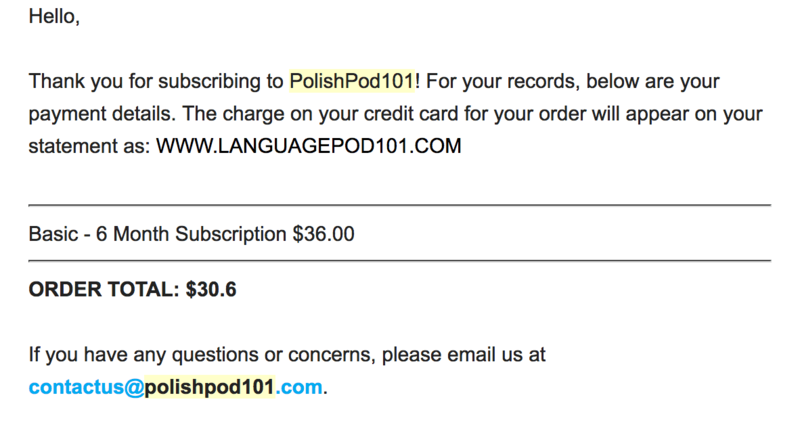 Yes, if you’re broke yet passionate about languages, there’s nothing wrong with seeking out free material. Yes, it’s totally your fault for not pulling value from your resources. Language isn’t magically downloaded into your brain… yet. Work is required. And no, that doesn’t make a textbook a “bad resource” because you just think it’s boring. Yes, I enjoy free things too. 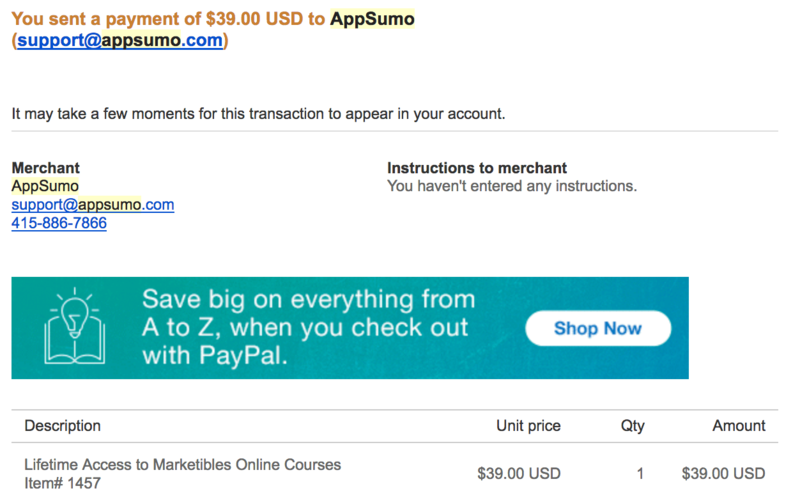 I also buy educational courses and language products. Even promote them based on my obvious banners. Yes, ideally, people should have the option to learn for free. 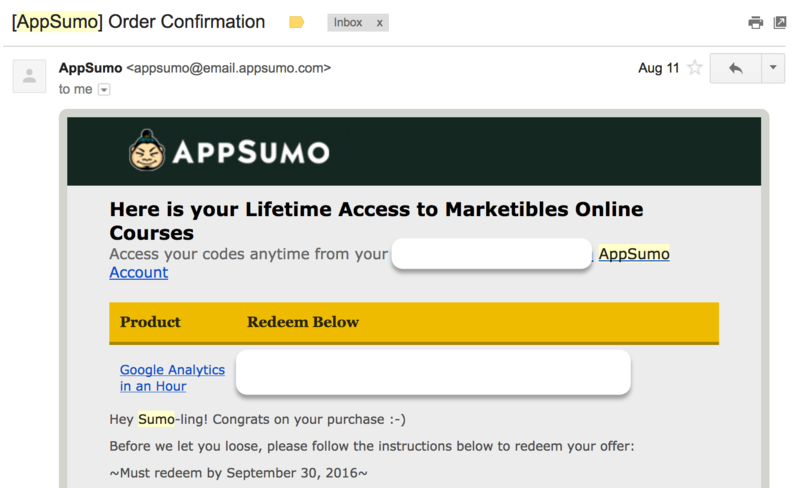 Just as they should have the option of buying tools and apps that genuinely give them value. Yes, we have our limitations of what we’re willing to pay and spend given our earnings and willingness part with money. For example, I wouldn’t buy $400 jeans. At least, not at this time in life. And… no, “paid” material doesn’t mean it’s bad. No, the price on a resource is not a legitimate downside. No, I’m not asking you to buy or throw money around. I’m asking you to check where your issue of paying for something you arguably enjoy comes from. 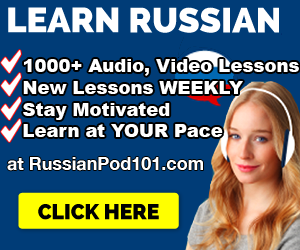 Next Next post: Why Learn Russian? 30 Reasons to Learn.